Facebook Chat. What is next? Facebook Mail? 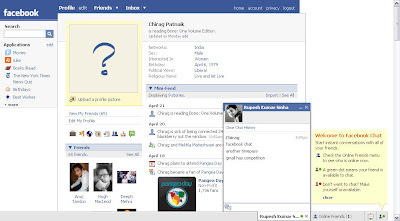 Facebook has enabled chat for the India Network. I was only a matter of time, before this happened. Think further and there is no reason why facebook can't have a robust mail app. It will be a logical progression (like gtalk was a logical progression for google) of features. Though, you can already send mails from facebook to a regular email address, facebook needs to create seamless two way mail a usable option.